Red Mesa Market — Red Mesa Cuisine, LLC. Purchase the James Beard Award Winning Cookbook, Foods of the Southwest Indian Nations and Chef/Author Lois Ellen Frank will personally autograph it to you. Consulting Chef Walter Whitewater, Dine (Navajo) will also autograph the cookbook on his famous portrait adjacent to the contents page of the book. $35.00 with Free Shipping in the U.S. 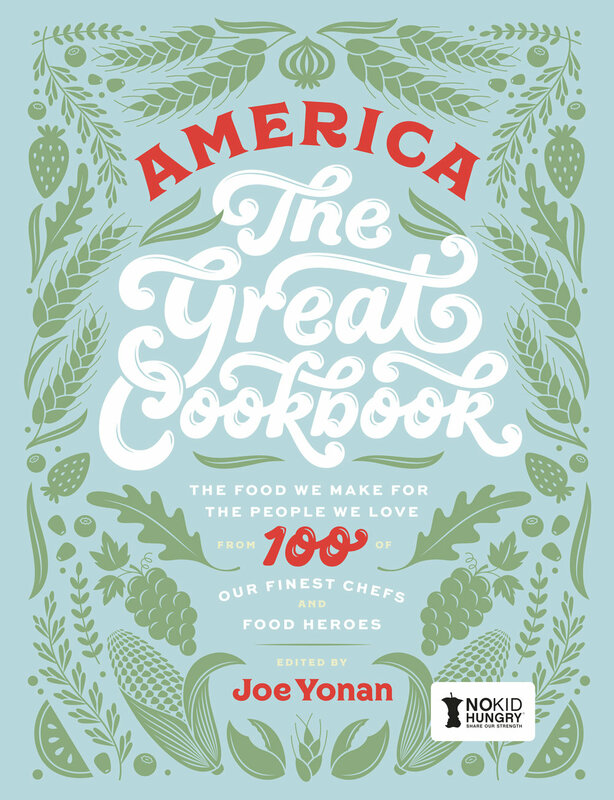 This one-of-a-kind, freshly Lavishly photographed with spectacular images of food and locations from across the United States, this gorgeous cookbook highlights what is the very best about America and its rich culinary traditions. Purchase this book and receive it personally autographed by Lois Ellen Frank. $40.00 plus $5.99 shipping in the U.S.
Tacos bring people together. Easy to make and handy to eat, they are the perfect meal for a quiet evening or large family gathering. From meat to vegetarian, this book offers more than 30 easy-to-cook recipes that will help you create your own taco table. $13.00 with Free Shipping in the U.S.
Full color, hard cover cookbook with stories, recipes, and celebrations from the landmark Colorado restaurant. Purchase this book and receive it personally autographed by photographer Lois Ellen Frank. $45.00 with Free Shipping in the U.S.
An excellent guide to various types of chile peppers. Purchase this poster and receive it personally autographed by photographer Lois Ellen Frank. $16.00 with Free Shipping in the U.S.
Buy one or purchase the two as a set. Image Size - 12" x 36"
Regional Spices and Culinary Herbs Continental by Ziegler & Keating. Image Size - 12"x 36"
$75.00 with free shipping in the U.S.
$19.95 with Free Shipping in the U.S.
$35.95 with Free Shipping in the U.S. This poster features heirloom eggplants hand-picked from Elizabeth Berry's Farm in Abiquiu, New Mexico. This poster features spices and culinary herbs commonly used in professional and gourmet kitchens around the world. This poster features beautiful varieties of heirloom squash. A must have for every cook and gardener. This poster is no longer in print, so once they are out of stock; they will no longer be available. Tropical Exotic Fruit poster by Legendary Chef Norman Van Aken is known internationally as “the founding father of New World Cuisine." Beautifully photographed by Lois Ellen Frank. This poster features Early American Indian Dolls from a private collection only seen here in the poster. Each doll is spot varnished on a black background for beautiful print quality. Limited edition poster. Will not be reprinted once out of stock. This poster features Western Clovis Points from a private collection only seen here in the poster. Each point is spot varnished on black background for beautiful print quality. This poster features High Plains Paleo Points from a private collection only seen here in the poster. Each point is spot varnished on black background for beautiful print quality.